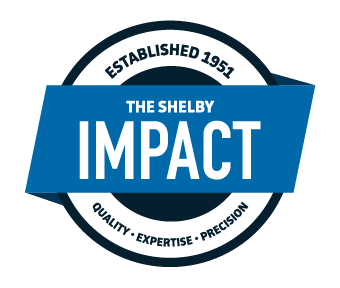 Shelby Materials is Indiana's source for Concrete Supply. Which means we supply concrete to contractors who specializing in concrete finish work. Do initial research to create a list of potential contractors. Take the time to teach yourself about the business so you can ask the right questions and understand the responses. Don’t just accept whatever a contractor tells you as fact. When looking for contractors, find ones who specialize in the type of finish work that’s required for your project. Concrete finish work varies by type. Contractors who specialize in decorative concrete for a sidewalk or patio may not be the same contractor you want pouring a foundation for your new home. Make sure to ask contractors what type of concrete they specialize in. There’s something to be said about how long a company is in business. etc. Typically, a contractor with a minimum of 5 years of experience will show that they are reliable and can provide consistent quality. Ask the to provide references that are older than 5 years or ask to see an example of their work that was placed more than 5 years ago. Most concrete will not show any issues with the finish work in less than five years. So ask specifically about older and not newer projects to gauge long term durability of their finish work. It is important to choose a contractor with adequate insurance coverage to protect you and your property from any liability if an accident occurs on the worksite. Professional contractors should have, at a minimum, general liability coverage, workers compensation, and automobile insurance. Do They Offer Product or Performance Guarantees? Ask about the performance characteristics and guarantees on the product that they will provide, if there is a problem with the job will they stand behind the work. Ask General Questions About the Qualities of the Job. How deep will the concrete be, minimum depth? How will you joint the concrete, saw or tool? Minimum depth? What will the subgrade under the concrete consist of? Depth? Material? Will reinforcing fibers be added to the mix? At the point that you have decided you found the right contractor, make sure that your expectations are clearly laid out. Have your contractor explain exactly what will be done and write it up in the contract. They should clearly lay out all of the steps they will take from the beginning to the end of your job. What supplies are included, the payment schedule, timeline for completion, defining qualities of the concrete, warranty provided, ect. They’ll be able to help you find the right company for your job.